Regulation No 881 for July 10, 2009, “On Mass Events in Vitsebsk” is available at the official website of the state body. The document states that the monitoring of the implementation of this decision is the responsibility of the heads of district administrations and “deputy chairman of the city executive committee L. Kavaliou”. The document, whose requirements the applicants for mass events must fulfill, contains a serious mistake. Since 2009, when the decision was taken, Leanid Kavaliou managed to “grow up” to the deputy chairman of the executive committee. While being at this position,he came under investigation, and September 6, 2012 Minsk City Court sentenced him to 7 years of imprisonment in a penal colony for accepting a large bribe. Nevertheless, his name still stands in the document, for an amendment of which Vitsebsk activists have been struggling for five years already. However, this is not the most important flaw in this document. The activists are worried even more about the requirement to enter into preliminary service agreements with the police, Vitsebsk central city polyclinic and Vitsebsk city housing and communal services. All these institutions refuse to enter into such agreements, as a result of which the applicants are unable to get an official permission to any mass event. The traditional response of the Vitsebsk Regional Police Department is the promise to protect the rule of law without any contracts: it is state that the police are not entitled to enter into such contracts with private individuals at all, since policing is the primary professional duty of policemen. Vitsebsk city housing and communal services does not enter into contracts for the cleaning of the city, saying it is a function of another entity – “Vitsebski Zelenud”. This institution, by the way, is the only one that does not refuse to enter into contracts. 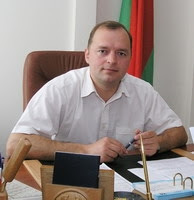 “Yet, according to the regulation of the executive committee, the appropriate service contract is to be concluded with Vitsebsk city housing and communal services”, stated an activist of the Conservative-Christian Party “Belarusian Popular Front” Yan Dziarzhautsau, who has recently received a ban on several mass events. “We see that the regulation of the Vitsebsk City Executive Committee needs several amendments at once: concerning the service agreements with the police, “Vitsebski Zelenbud” and the medics. Firstly, there must be at least some kind of alternative: if the central city polyclinic denies us over and over again on various ridiculous reasons, we need to be able to appeal to somebody else. However, there is another problem: the working arsenal of medics does not include such service as the provision of medical care during mass events on the basis of a private contract. In fact, the city authorities require us to do an impossible thing! Last but not least, the responsible officials should be ashamed that according to the decision of the public authority, mass events are under the control of a man who has been serving a prison term for a long time already! How little respect must the authorities pay to their citizens if they leave the surname of such “responsible official” in a state document! Thus, there are many reasons to amend the regulation No. 881 of the Vitsebsk City Executive Committee, so that we could finally exercise our rights to peaceful assembly and freedom of expression,” commented Mr. Dziarzhautsau. So far, the activist didn’t manage to achieve any changes to the aforementioned document. They wanted to address even the Constitutional Court with this issue. All other state agencies answered them that the regulation had passed a legal examination and put in the register of state documents, which meant that it was juridically flawless.